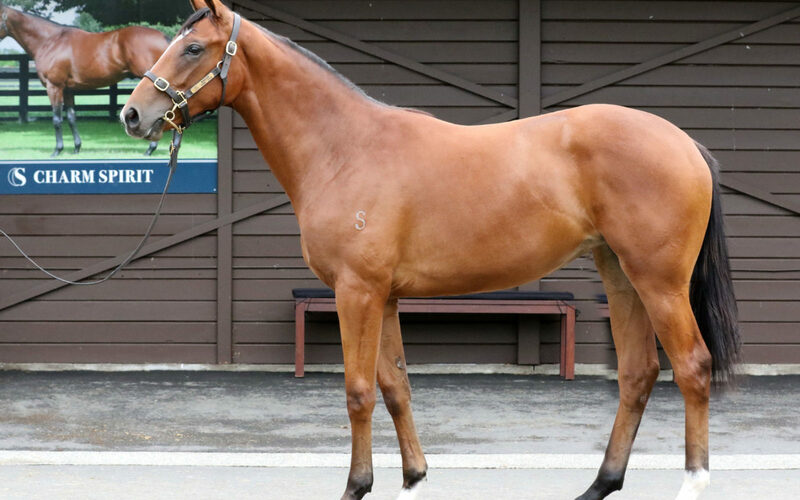 A filly from the first crop of Champion Three-Year-Old and subsequent Horse of the Year and Champion Stayer Mongolian Khan (Holy Roman Emperor), recording Group One wins in the NZ Derby, ATC Derby, and Caulfield Cup. Her dam, impressive winning race mare Her Royal Highness, won three times at 1600 metres including the Wairarapa Breeders’ Stakes (Listed, 1600m). 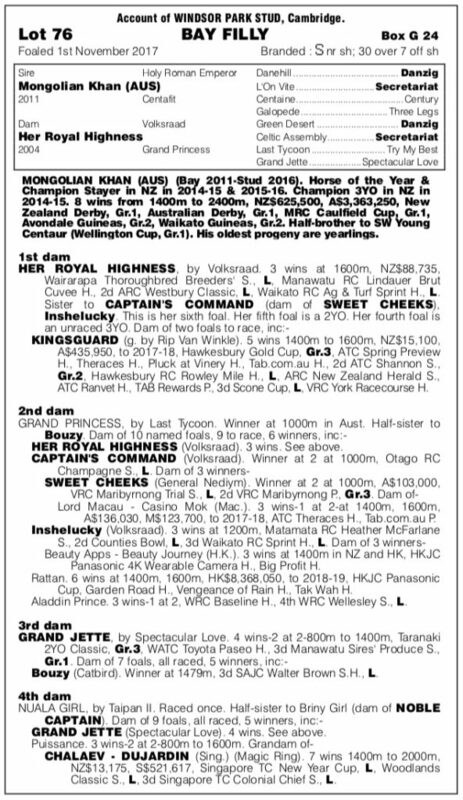 In turn, she has left Kingsguard (Rip Van Winkle) a Hawkesbury Cup (Gr. 3, 1600m) winner of five races. “We’ve been really impressed by the stock of Mongolian Khan that we’ve seen during our inspections and she’s out of a very good Volksraad mare that had speed and plenty of talent on the racecourse,” said Te Akau principal David Ellis. So, we know a little bit about the family and with fast filly Captain’s Command in the family we think she’s a filly by this sire that could come a little bit earlier. She’s got the makings of a two-year-old performer, before training on to be a beautiful three-year-old.